One of the grand daughters of late Dan Masanin Kano, a fan of NG is currently mourning the death of the late Octogenarian. 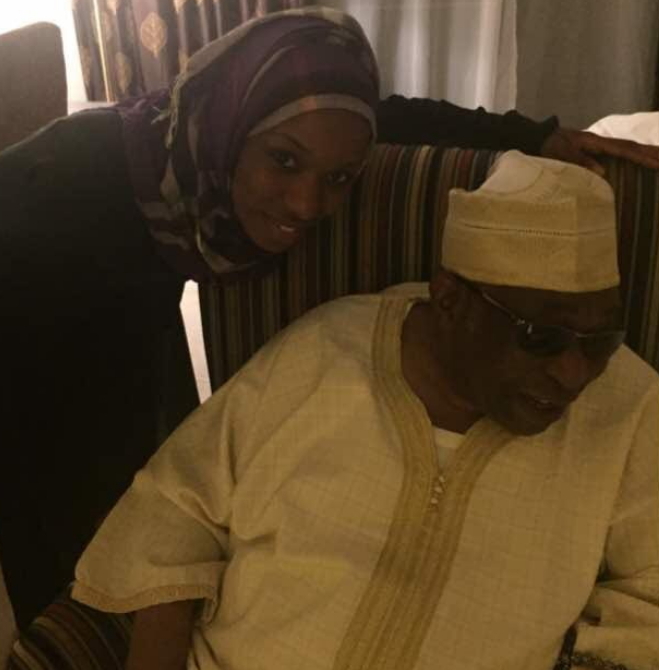 Here is how Maryam Musa mourned her late grandfather. Life without grandpa will be difficult…..! He was a man who touched soooo many lives…! It’s an irreplaceable loss for the entire family…..! He always had an answer for anything ……! The former Ambassador who was airlifted to Cairo three days ago lost his battle in a hospital yesterday, Sunday the 3rd of July 2017 at the age of 88. According to Maryam Musa, the body of the late icon is just about landing in Kano. RIP..WHEN WILL GOVT FIX OUR HOSPITAL ..ABROAD RUN AWAY MEDICAL VISIT DON TOO MUCH. He belonged to the era of upright Nigerians. MayAlmighty God console his family and loved ones! He was indeed a gr8 icon, A wise elder n talking encyclopedia, What a gr8 lost to all. May Allah s Noor soothe his qabr, May Jannah b his final abode Amin. Rest on Alhaji Yusuf Maitama Sule.